Built in 1882-1883, the 1883 Water Works includes 26 acres, 4 buildings, 2 historic irrigation ditches, and more. A 100-year-old orchard features seven early varieties of apple trees. 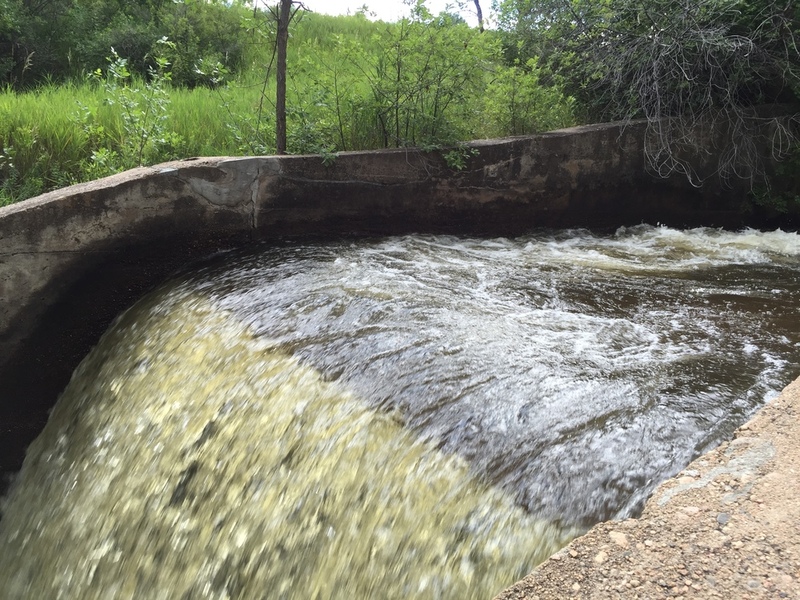 In addition, one of the largest cottonwood trees in Larimer County is located at the Water Works. 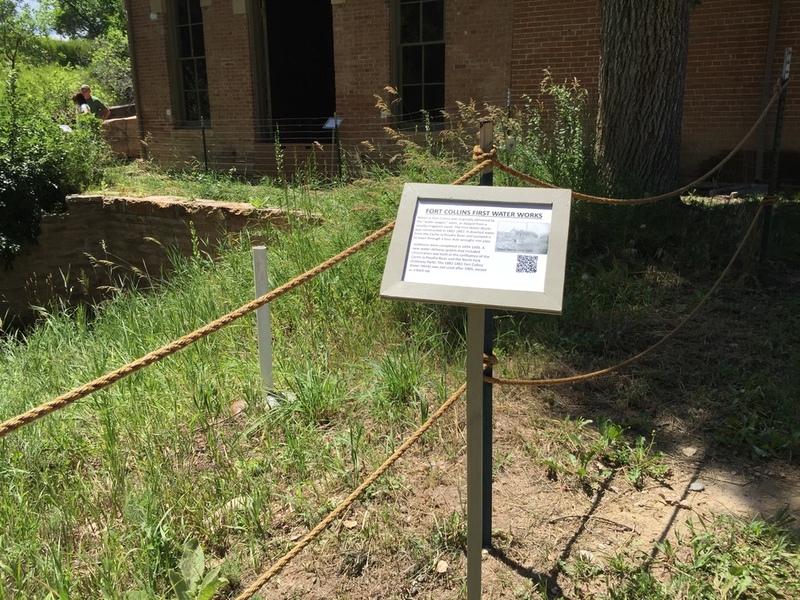 Visitors can see the many improvements completed at the historic property through the efforts of the City of Fort Collins, the Poudre Landmarks Foundation, and its auxiliary, the Friends of the Water Works. Come tour Fort Collins' first public works project and discover the history of water development and use in the Fort Collins area. Photos of the 1883 Fort Collins Water Works. Apple orchard on Water Works grounds. These placards are placed throughout the Water Works on open-house days to help visitors take self-guided tours. Panoramic photo of the pump room. Panoramic photo of the filter room. Some original metal shingles were salvaged and restored and are displayed on top of these shelves. The shelves also contain other artifacts recovered from the site during restoration/conservation efforts. Rear of the building, showing the massive stone retaining wall of the former reservoir. Stone retaining wall for the former reservoir behind the Water Works building. Larimer County's 2nd-largest cottonwood tree is on the Water Works grounds.